Schwarzenbauer: "There's no doubt in my mind you will see an electric Rolls-Royce." Rolls-Royce is on a hot streak. The British brand posted the second-highest full-year sales in its 113-year history with a volume of 4,011 vehicles in 2016. Its latest-generation Phantom will go on sale early 2018 and it is already mulling a full-electric version of the sedan. In 2019, Rolls-Royce will unveil its first SUV, taking the brand into a sector that has boosted rival Bentley's sales to new heights. 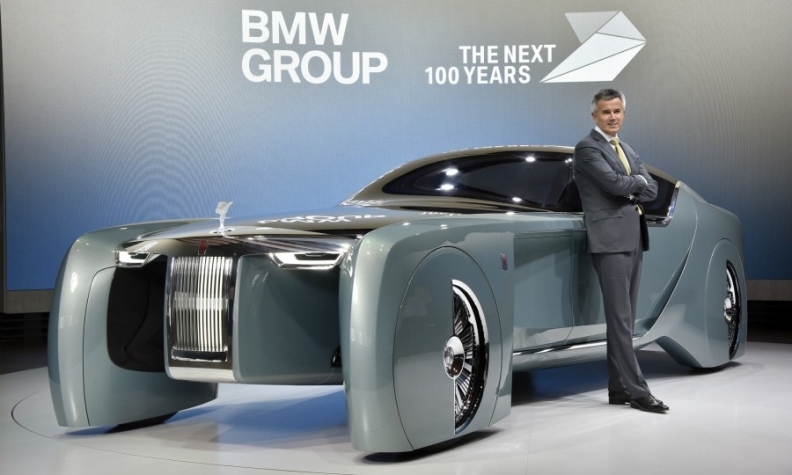 Peter Schwarzenbauer, the BMW board member responsible for Rolls-Royce, is tasked with making sure the storied automaker keeps pace with the industry's biggest trends without sacrificing its traditional values. He discussed the company's future with Automotive News Europe Associate Publisher and Editor Luca Ciferri and Correspondent Nick Gibbs. The Phantom is your flagship sedan, but your first SUV is coming soon. Which model will sit on top of your lineup? The Phantom will always be the pinnacle of Rolls-Royce while the [SUV] has a different character. It's like comparing the BMW 7 series and the new X7 [large SUV]. They have a totally different character to suit different consumer tastes. Some people say they don't like sedans because they want a higher seating position, but they still have a luxury possibility with the X7. The same philosophy will be transferred to Rolls-Royce. The Phantom has gone up in price. Is that so the SUV can sit below it? It's too early to talk about price, but the Phantom is at the pinnacle of our lineup so you could easily transfer that to pricing [for the SUV]. Since Rolls-Royce owners put a high value on privacy, when will a Rolls-Royce owner be able to buy a Level 5 autonomous model that no longer requires a chauffeur? Level 5 is still years away, and even then, it will take a long time before you see it on a broader scale. We are working hard to have the technology ready by 2021, but the speed of the rollout and which models it will come in is totally open. It will probably take 10 to 15 years before we really have robot cars. Won't the BMW iNext will be Level 4? We are launching it with Level 3, but technology-wise we could do Level 4 to 5. We don't believe that the world will be ready for a big rollout [of Level 4 or 5 technology] in 2021. But our capability is ready. Are you sensing any appetite among Rolls-Royce buyers for an electric car? We are getting more and more questions about this from Rolls-Royce owners. Now that we've presented the Phantom a lot of customers are asking: When can we expect an electric version? We are working within Rolls-Royce on electrification, but it won't come next year. It will take a while. But there's no doubt in my mind you will see an electric Rolls-Royce. MAIN CHALLENGE: Incorporating new trends and technologies into a brand that trades on its prestigious past. What range would a Rolls-Royce customer expect from an EV? Every customer says the same thing: 500 to 600 kilometers. Could an electric drivetrain be incorporated into the new Rolls-Royce aluminum platform? No, we will need to develop it differently. The advantage compared with a Mini, however, is that in a Rolls-Royce there is space. Technically it's a bit easier than in a Mini. Does that require a different platform? Yes. We don't have to develop a completely new architecture, but we have to make a major adaption. Should an electric Phantom look different from a standard Phantom? Will you kill the grille in an electric Rolls Royce? I don't think we’re going to kill the grille. That being said, it will probably look different. You can have a very interesting design for electric cars and we have shown it in the electric Mini. I think it looks extremely sleek. I am confident our design team will find a great solution. The new aluminum platform will be available for all new Rolls-Royces. Can it be used by BMW too? No, it's a purely a Rolls-Royce platform.